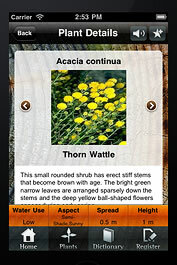 This entry was posted in Online Resources and tagged apps, horticulture, iPad, iPhone, iPlantfile Pro, iPod, PlantFile. Bookmark the permalink. It would be good if Plantfile also offered a free app like EBSCO that allows students to freely use their Institution’s access.